There has been no death-row conversion. He has not found God. He has been beaten in some ways. But his other senses have picked up since he lost his sense of taste. He has tuned better into life. Some things aren’t as important as they once were; some things are more important than ever. He has built for himself a new kind of universe. Roger Ebert is no mystic, but he knows things we don’t know. Ebert, the article says, is slowly dying. And he knows it. Yet the way he’s currently facing life certainly offers lessons on living for all of us. 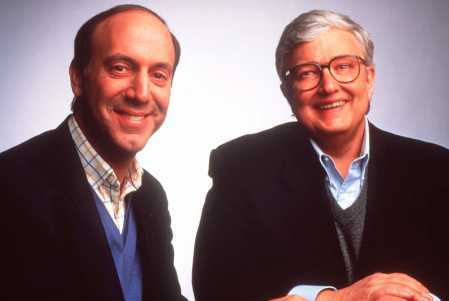 I was reminded of a post that I wrote almost one year ago reflecting on the tenth anniversary of the death of Gene Siskel, Ebert’s famous partner in film criticism, and the wonderful though often combative friendship that they shared. 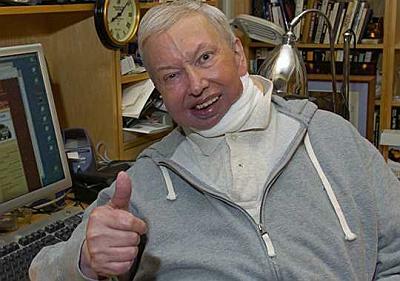 Jones’s profile references Ebert’s poignant tribute to his late friend, and reading Jones’s article caused me to go back and re-read Ebert’s piece, too. It was time well spent. It’s hot in Chicago. Summer is officially doing its thing. Like so often with the weather here, one day you’re shoveling snow from the driveway, the next you’re listening to the A/C crank up and praying that the sump pump kicks in after the latest monsoon. So here we are again in 90-degree heat and humidity, and I’m thinking, How appropriate, given that this summer marks the 20th anniversary of Spike Lee’s classic and enduringly controversial film Do the Right Thing. The movie first hit theaters on June 30, 1989. Those of you who have seen the film will recall that it takes place on one of the longest and hottest days of the summer in Brooklyn’s Bedford-Stuyevesant neighborhood. Lee begins the film slowly and deliberately, painting a picture of a predominantly black neighborhood made up of a diversity of people, characters, and races that each bring something unique to the urban landscape. It’s not Norman Rockwell harmony, but it’s a real-life community where disparate parts manage to get along. But, as is usually the case when it comes to race relations in America, tension and unrest are simmering beneath the surface. If you haven’t seen the film yet, please forgive (or avoid) the spoilers that follow the original 1989 trailer below. Lee plays Mookie, a pizza delivery man for Sal (Danny Aiello), an Italian-American whose restaurant has been on the same corner since old days (i.e., before the neighborhood became mostly black). The blacks in Bed-Stuy have a sort of love-hate relationship with Sal’s Pizzeria. While it’s nice to have a spot for tasty pizza in the ‘hood, there’s an ambivalence about the fact that one of the community’s primary businesses is owned by a white man. During the film’s climax, Buggin’ Out (Giancarlo Esposito) and Radio Raheem (Bill Nunn) confront Sal to demand he put a black face among his all-white wall of fame. A fight ensues, and when the police show up, Raheem is choked to death by an NYPD officer, which sets off a horrible riot. This 1989 review by critic Roger Ebert offers a good overview of the movie. Suffice it to say, Spike Lee’s film, like any good piece of art, is open to a variety of interpretations. He doesn’t tell you what to think, though it’s easy for some to come away with the sense that, ultimately, the film is a call for some degree of black nationalism and militancy—or for black folk to at least keep the option available. An obvious question for us today is, how does Do the Right Thing play in this so-called “age of Obama”? Is it still relevant? I’ll resist calling this era “post-racial,” for I’m sure many of you could quickly tick off a thousand reasons why it’s not. But we’ve clearly moved into a different and better era of racial understanding from what we faced in America 20 years ago, right? (Let the debate begin.) We’ve survived Rodney King, the O.J. trial, Clarence Thomas’s confirmation to the Supreme Court, and the first couple seasons of Tyler Perry’s House of Payne. What’s more, we elected an African American president. In 1989, Do the Right Thing rightly railed against police brutality and institutional racism that reduced the life chances and quality of life of many black people in urban areas. If combating those conditions, which still exist, is what we mean by fighting the power, I will be the first to put on boxing gloves. But 20 years on, Buggin Out’s kind of fight feels futile. Symbolically and literally speaking, we are the Power. We need Sal’s Famous Pizzerias in the neighborhood, and we need the Mookies of the world to open their own businesses, too. It’s messy. It’s sometimes tense, often uncomfortable. We won’t always understand each other. But come on back. We need that slice. Hopkinson’s essay, I believe, rightly calls us to “do a new thing”—that is, to allow forgiveness and solidarity to trump our lingering racial resentment, bitterness, and fear. But I don’t think her change of heart about Do the Right Thing necessarily diminishes what the film was trying to do those two decades ago. Ultimately, Spike Lee was challenging his viewers to wrestle with their prejudices and misconceptions about the American condition. To his credit, Lee understood that this would mean different things to different people, and provoke different responses based on each person’s life experience. In that way, Do the Right Thing was—and is—a bold piece of filmmaking and a disturbing but effective tool for an honest discussion of racial reconciliation in America.